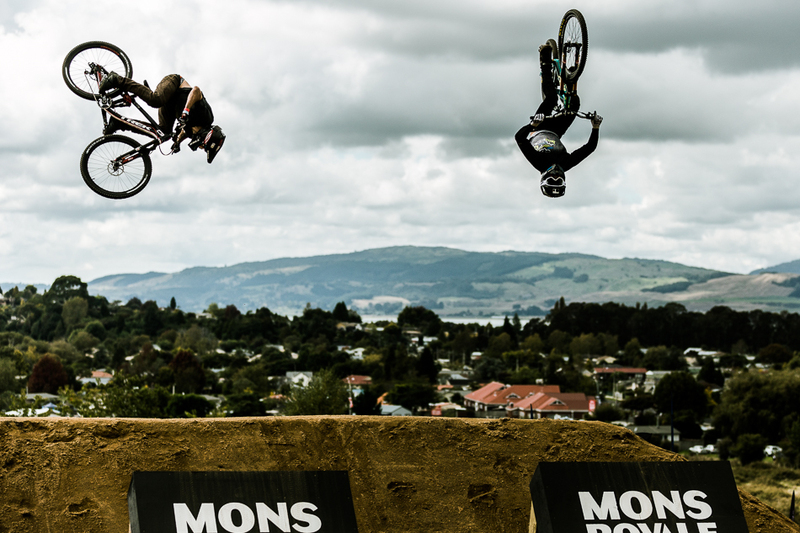 World Cup DH standout Bernard Kerr (left) was on a tear today, eliminating Carson Storch in the first round on his way to claiming third place in the 2015 Crankworx Rotorua Speed and Style contest. Belgian Thomas Genon was glum after being knocked out in the first round. 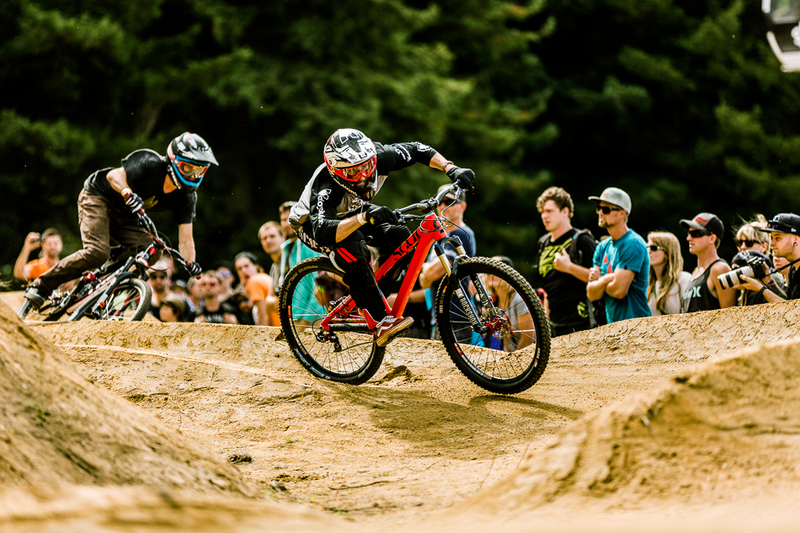 France vs. England: Frenchman Tomas Lemoine (left) duels with Englishman Sam Reynolds in the opening round, and in today’s contest the Frenchman made it further through the rounds. Adding to the hardship of the competition was the long hike back to the top of the course. 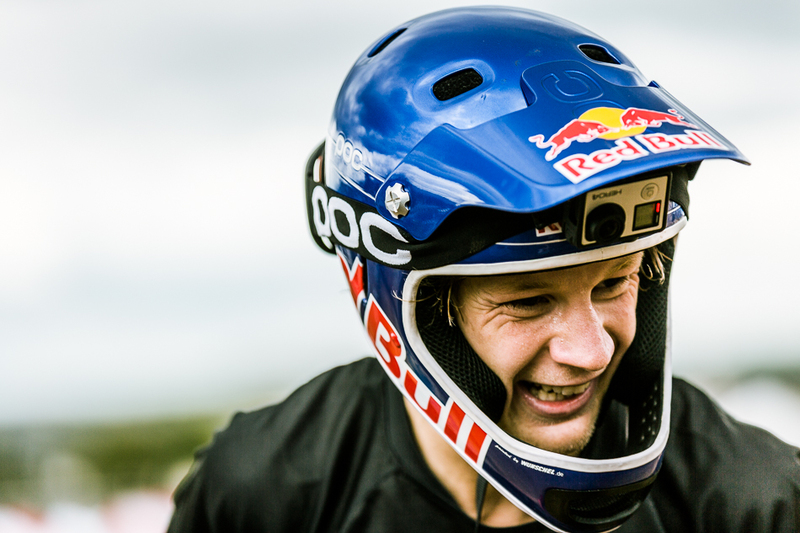 Martin Soderstrom proved he has overcome his injuries after pushing up the hill multiple times on his way to victory. 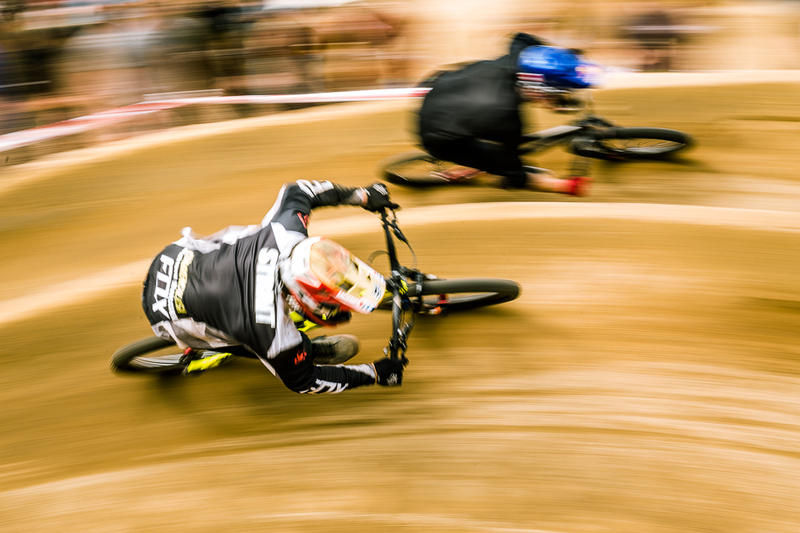 Swedish phenom Soderstrom was firing on all cylinders today. 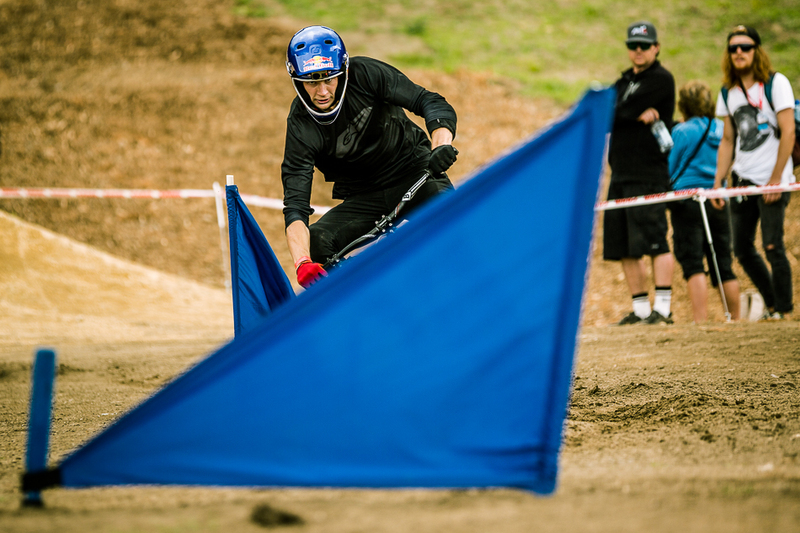 Not only was he throwing down an impressive bag of tricks, he was showing the clinical speed of a seasoned racer. He was clearly the man to beat through all the heats. 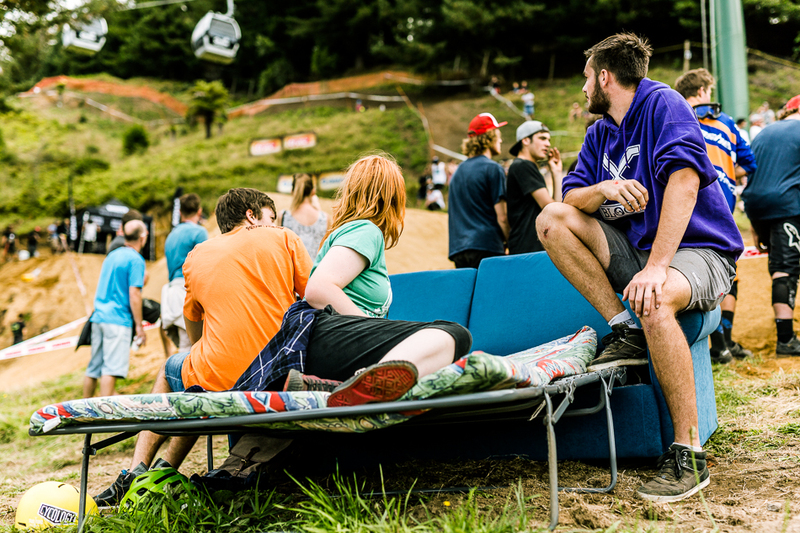 Despite the menacing storm clouds on the horizon, these sofa surfers were clearly choosing style over speed. 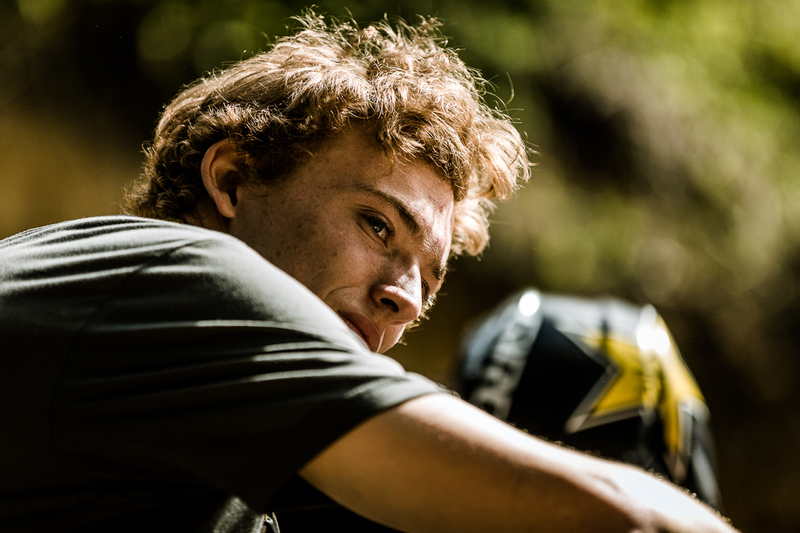 Battle of the Giants: Last year’s Crankworx Whistler Speed and Style winner, Kyle ‘Lyle’ Strait, gave Soderstrom a fierce run for his money before crashing on the final jump. 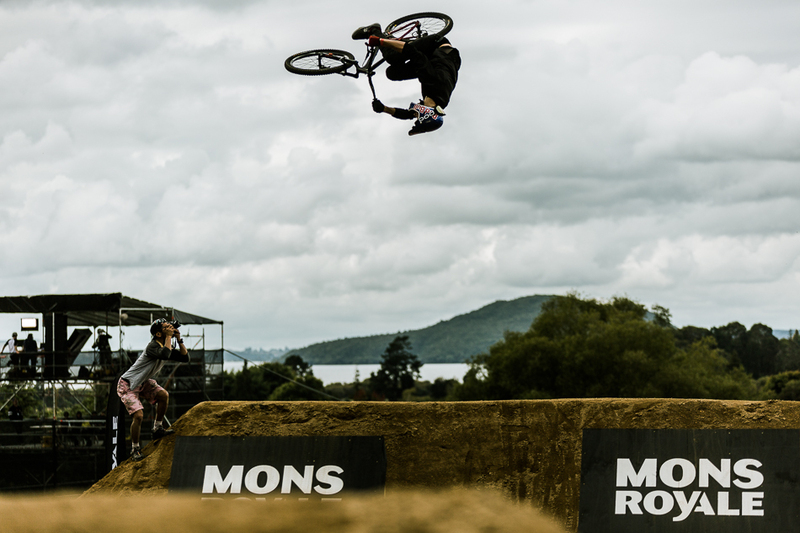 Frenchman Adrien Loron wouldn’t wave the white flag today, staying hell bent for glory through heat after heat, this time knocking out Ryan ‘R-Dog’ Howard (who placed third in the 2014 Crankworx Whistler Speed and Style contest) on his way to a second-place finish. 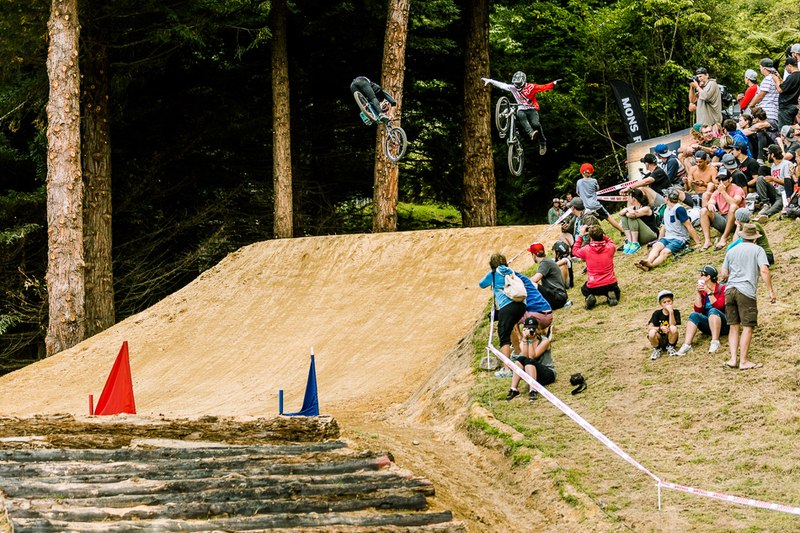 Good buddies Ryan ‘R-Dog’ Howard and Tyler ‘T-Mac’ McCaul went head-to-head in the early rounds, nearly colliding in mid-air at one point before keeping their distance on the final jump. Sometimes it seemed like it was as much a race to the top of the course as it was to the bottom. 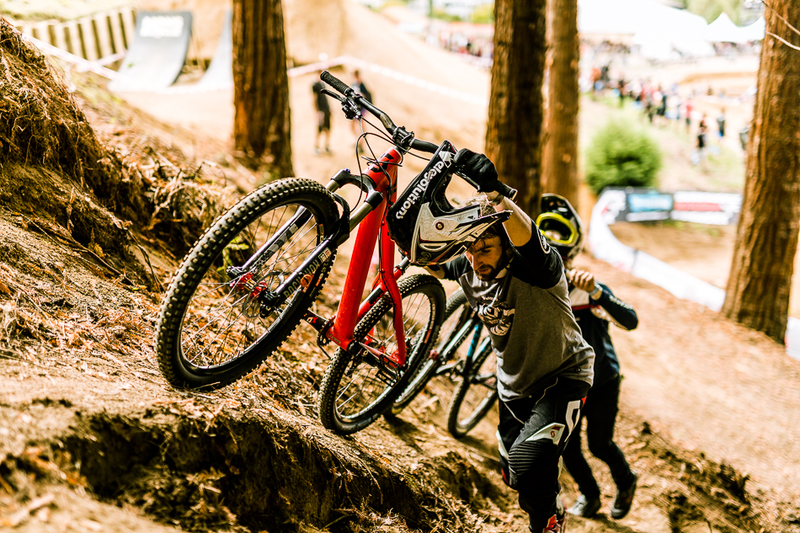 And Frenchman Adrien Loron ended up besting Englishman Bernard Kerr going up and down, claiming second to Kerr’s third-place finish. 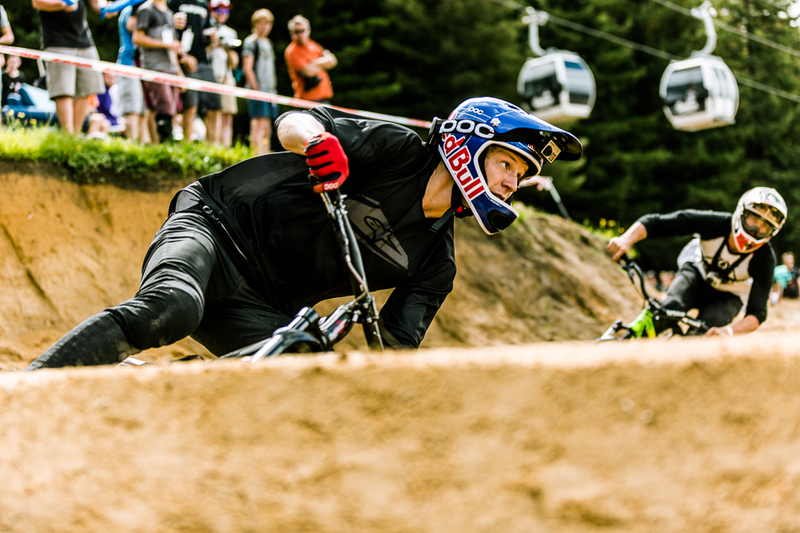 After spending the better part of two years on the couch, watching his contemporaries continue to raise the progression bar, Soderstrom has had plenty of time to practice his game face. And it was definitely on today. 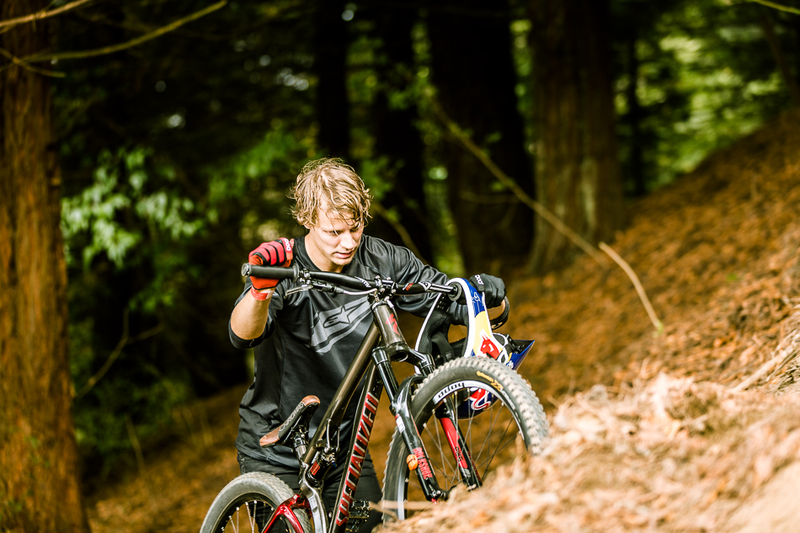 Of course style is never an issue for Soderstrom. 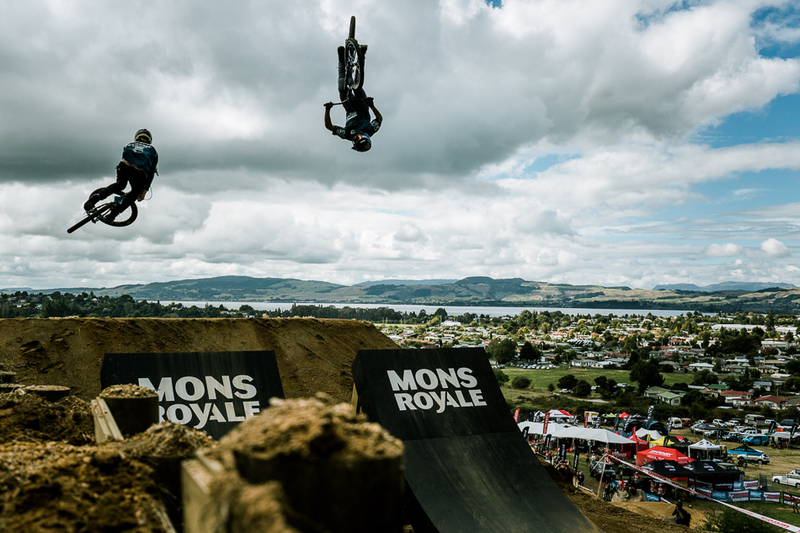 After placing third in each of Crankworx Rotorua’s first two events, Kerr has plenty to smile about. 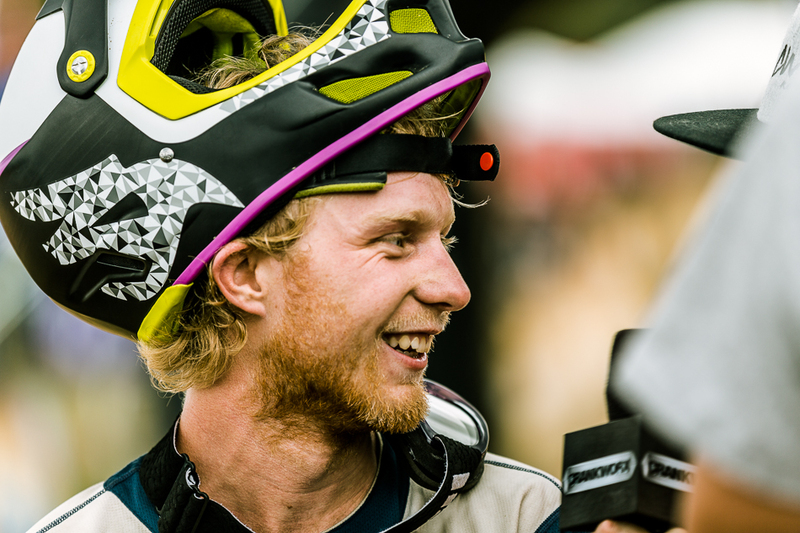 But not quite as much as Soderstrom has to smile about…. 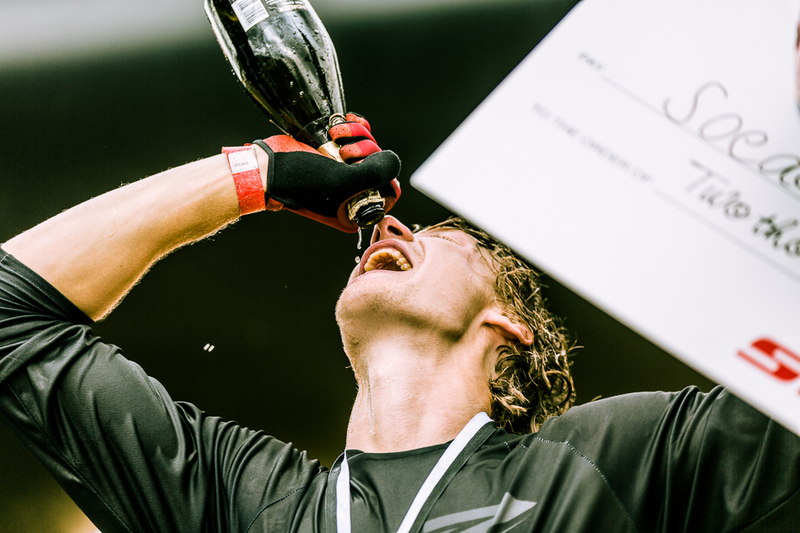 Even though Soderstrom took a healthy gulp of celebratory champagne on the podium, 15 minutes later he was back on the course practicing for this afternoon’s Pumptrack Challenge. We’re stoked to see him back having fun with his friends!